We received the new Black Milanese Loop band from Apple, and we're comparing it to our Replica Milanese loop band that we bought on Amazon for $20. First things first, let’s look at the price. The genuine band from Apple costs a staggering $200 for the 42mm band. It’s a pretty penny to pay considering you can buy a brand new Apple Watch sport for just $300. There is one major difference and that’s the color of the mesh band. 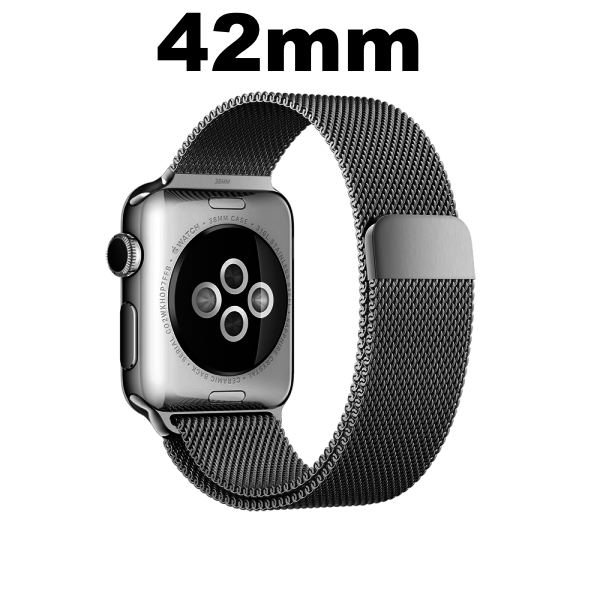 The genuine band from Apple has a grey finish while the replica band has a more deep black color. We did notice that both bands have an equal amount of shine, while the adapters are nearly identical in color and shine. As for weight, both bands feel almost similar. For quality, the genuine band definitely wins. 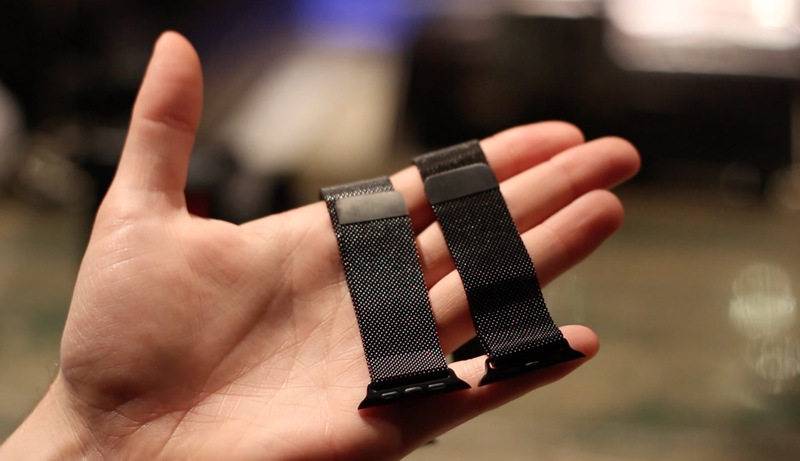 The mesh feels softer and more durable than the real band. This is due to the diamond carbon cover, meaning it’s scratch resistant and durable. Both bands have the magnet, but it feels stronger and grabs better on the Apple version. For the genuine band, we definitely were not pleased with the packaging. It’s the same Apple packaging as the Sport bands that cost $50. You would think for $200, you would get a nice case like the one that comes with the Link Bracelet. If you have an Apple Watch Sport, you should definitely consider getting the replica for $20. Even if you have the Stainless Steel Space Black, you should still consider getting the replica. It’s a fraction of the price and looks just as good. But let us know what you think!